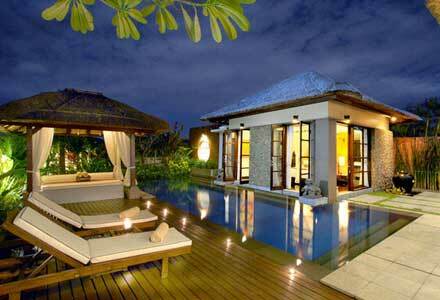 Dreamland Bali is a very popular tourism destination. Located at south of the island, at Pecatu tourist complex, Badung regency. The distance about 30 minutes from Kuta Beach. This bali beach is located within the Pecatu Graha Bali (Kuta Golf Resort). Its location also not far from the Garuda Wisnu Kencana, one of famous bali tourism attraction. The name “dreamland beach” came from expectations of the people around to make the region as a land of dreams. Later, this plan will be developed into a more complete tourist resort with golf courses, international schools, and hospitals as well as malls and other facilities. The uniqueness thing of this beach are the cliffs that towering around. 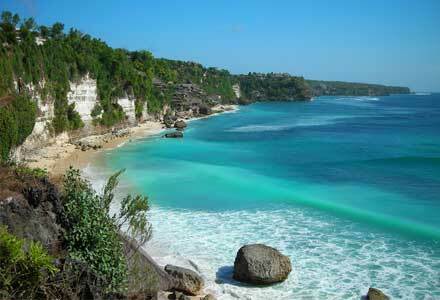 Dreamland Beach is surrounded by rocks or crevices in the cliff around the coast. It makes the beauty of this beach. Because surrounded by the cliffs, so the atmosphere is more private. This beach also has clean white sand. In this white sand, tourists can sunbathe or just see the beauty of the sea. Because the area is rugged, tourists have to down a few stairs to get the beach. Also, do not miss the sunset scenery at this Bali beach. 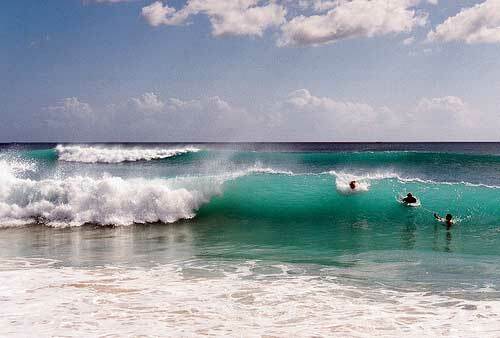 This Bali beach is suitable for surfing. Its large and high waves make this place to be a good place for surfing. The tourists who were sitting on the beach also could watch all the surfers act. Do not worry if you not bring the sled, you can rents or buy this. Restaurant and hotel facilities are also widely available in this beach resorts. One of the famous is Klapa Resort. Klapa Resort is a luxurious places to eat and stay. Tourists can also enjoy the sunset view from this place. There is also a unique swimming pool. You can see under the sea as the swimming pool directly adjacent to the sea. This resort is also an entrance to Dreamland beach. 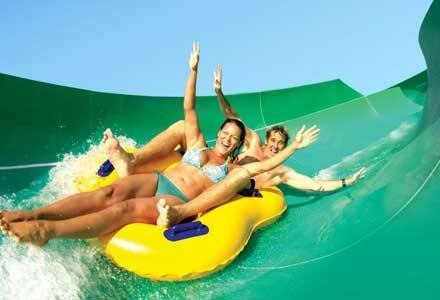 Click here to find more hotels near Dreamland beach. Dreamland beach is very interesting! 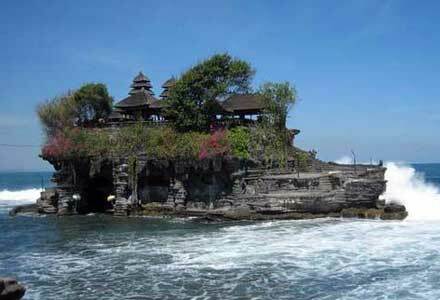 Impressive, i like the way you expose about bali dreamland. Anyway, can you write something about balinese culture? I would name that place as dreamland too! that beach is so wow! I know this beach very well, in fact I am a regular at Klapa, just up the road. I am returning this week after having returned two weeks ago and wish to travel to Klapa on a regular occurrence. However, i don’t want to drive this time. Does anyone know how much I can get there and back (to Kuta) for? Does Dreamland provide a pick up and drop off service do you know? Hope someone can help. I received more than I bargained for with this blog. Attention grabbing topic. Will follow.